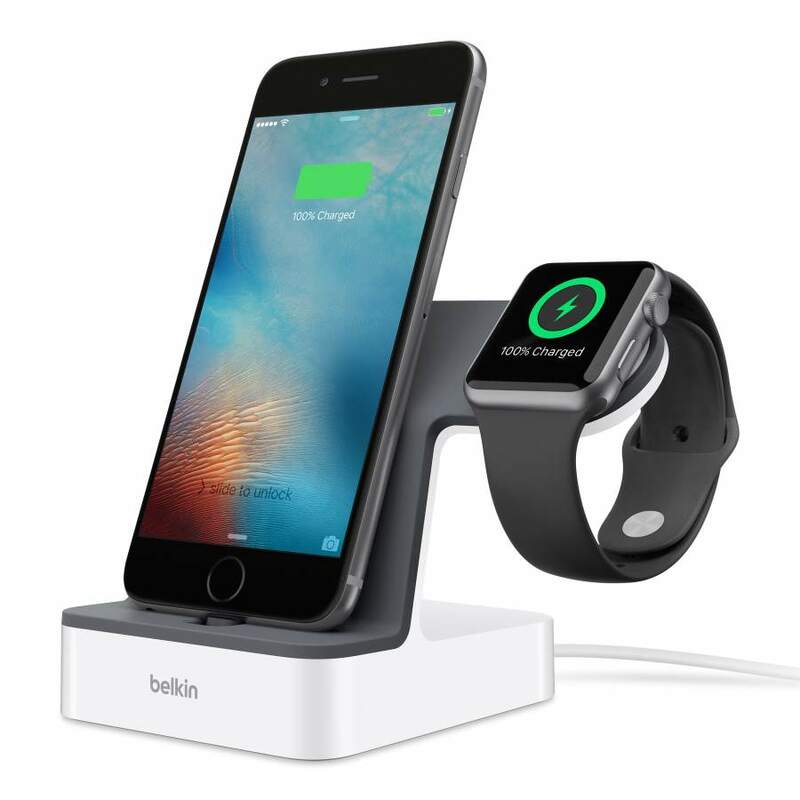 Playa Vista, Calif. – August 30, 2016 – Belkin today announced the Powerhouse Charge Dock for Apple Watch + iPhone, available at select retailers worldwide, offering consumers an easy 2-in-1 solution for turn-key charging. In a recent report from IHS Technology1 , sales for smartwatches and smartphone companions are expected to nearly double from 61 million in 2016 to 110 million in 2020. The Powerhouse Charge Dock is available for an MSRP of $99 at http://www.belkin.com/us/p/P-F8J200/, Best Buy and other leading retailers globally. The Powerhouse Charge Dock supports Apple Watch, Apple Watch Sport, Apple Watch Edition, iPhone SE, iPhone 6s Plus, iPhone 6s, iPhone 6 Plus, iPhone 6, iPhone 5s, iPhone 5c, and iPhone 5. Belkin makes people-inspired products that harness the power of technology to connect people and the experiences they love. The Belkin award-winning product lines include Valet™ Charge Dock for Apple Watch + iPhone, MixIt Cables, QODE™ keyboards, and a complete range of mobile, power and charging accessories, including USB-IF certified USB-C accessories. The Company's product offerings are designed to create a personal, efficient and enjoyable experience for people to use technology, whether they are at home, school, work or on the go. A privately held company founded in 1983, Belkin has more than 1,500 employees in more than 30 countries around the world.